Celebrating the life of Ralph F. Scofield, Esq. 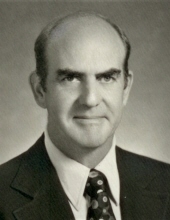 Obituary for Ralph F. Scofield, Esq. Ralph F. Scofield, age 90, of Stratford, beloved husband of the late Betty Lou (Carroll) Scofield, died peacefully on February 3, 2019 at Bridgeport Hospital, surrounded by his loved ones. Born in Milford on April 19, 1928, Ralph was the son of Edward S. Scofield and Irene (Van Ormer) Scofield. The second of six children, he was predeceased by his beloved siblings, Richard, Robert, Roger, Mary Lou, and Russell. Ralph grew up in Milford, and later Bridgeport, and joined the United States Merchant Marine at age 15, during World War II. After the war he worked as a truck driver and in a local factory to help support his family, and later enlisted in the United States Army, where he was selected to serve in the Honor Guard for General Douglas MacArthur in Tokyo, Japan. After his military service, Ralph worked to put himself through college at the University of Bridgeport, and then at Boston University Law School, where he was an honors graduate chosen to serve as Book Review Editor of the Law Review. It was during that time that he met the love of his life, Betty Lou Carroll, who, with their families, both lived in Yellow Mill Village, in Bridgeport. They married in July, 1960, and had been married for 54 years at the time of Betty’s passing in 2014. Ralph and Betty Scofield established their home in Stratford, and began raising their family in 1961. Meanwhile, Ralph was establishing a successful career as a trial attorney, and was well respected throughout the State of Connecticut by the Judges and by other members of the bar for his skill and professionalism. He continued his active trial practice for nearly fifty years, and in addition, had a real estate practice with which, after their children were grown, Betty assisted him as a part-time paralegal. This additional facet of their partnership only brought them closer together. As a couple, they were inseparable best friends who shared a devotion to their children and grandchildren. At Betty’s suggestion, at age forty-one, Ralph took up golf and enjoyed many rounds with his brother-in-law John (Jack) Carroll and many other friends. In later years, he enjoyed playing golf with his three sons. Ralph was also an avid sports fan, usually rooting for the underdog, including the New York Mets. More than anything, though, Ralph, like Betty, treasured time with family and took great pride in his children, their spouses, and his four grandchildren. He was a selfless person whose principal characteristic was his extraordinary kindness. He retained his acute mental faculties until the very end of his life, sharing his wit, stories, keen insights, and (always gently delivered) advice. He is survived by his sons Edward Scofield of Stratford (and his wife Judith), Robert Scofield of Stratford, and Thomas Scofield of Seymour (and his wife Lauren). He leaves behind his four beloved grandchildren, Emily (and her husband, John Samela), Charlie, William, and Kyleigh, who will always carry with them the love of their beloved “Grandpa.” He is also survived by two sisters-in-law, June Carroll of Wallingford and Lillian Krause of Westport and many nieces and nephews, including his beloved Catherine Pramuka of Monroe (and her husband Michael). Friends are invited to attend his Funeral Mass of Christian Burial on Saturday, February 9, 2019 at 10:00 a.m. by meeting directly at St. Mark’s Church, 500 Wigwam Lane, Stratford, CT.
Interment will follow in Putney Cemetery, Stratford, CT.
Friends may visit with the family Friday evening, February 8, 2019 from 4:00 p.m. to 7:00 p.m. in the William R. McDonald Funeral Home, 2591 Main Street, Stratford, CT. In lieu of flowers, the family asks that friends consider remembering Ralph by making a donation to a favorite charity or otherwise lending a hand to someone in need. For additional information or to share remembrances and condolences, visit www.wrmcdonaldfuneralhome.com. "Email Address" would like to share the life celebration of Ralph F. Scofield, Esq.. Click on the "link" to go to share a favorite memory or leave a condolence message for the family.